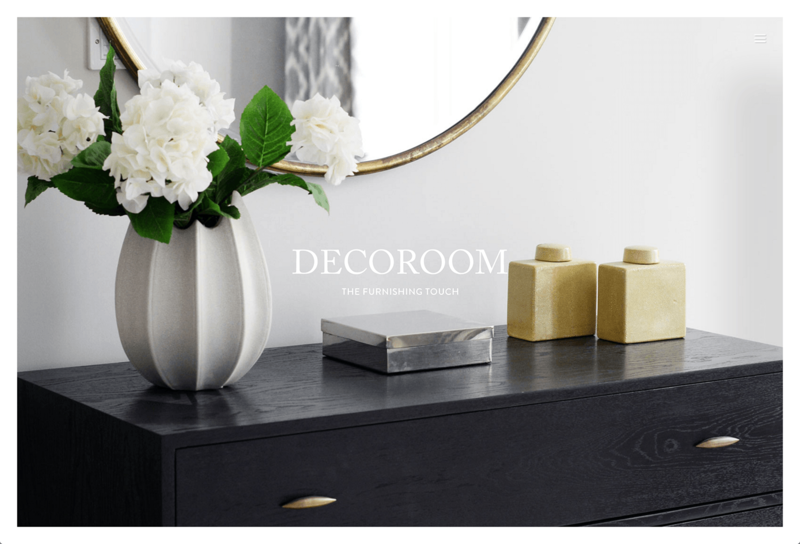 Decoroom provide a full furniture rental service for anyone marketing empty properties. 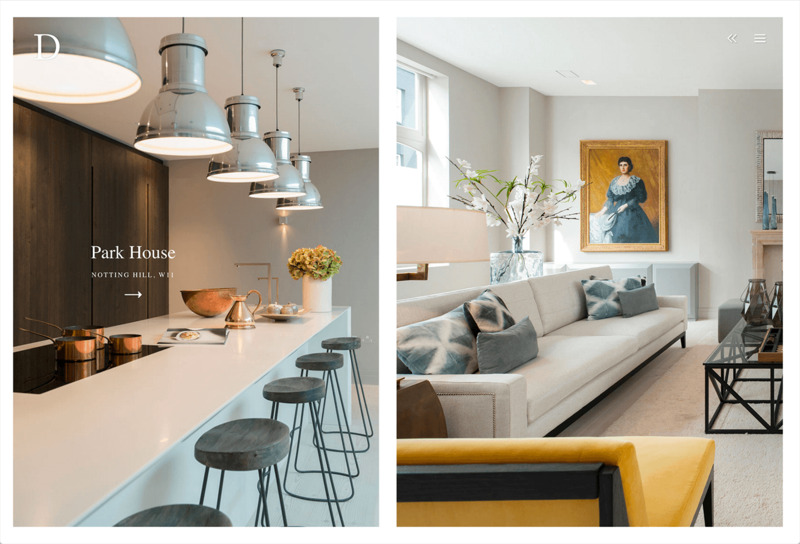 They have over 30 years’ of experience of furnishing and styling high-end London residential properties to enhance their sale potential and appeal to the highest number of prospective buyers. 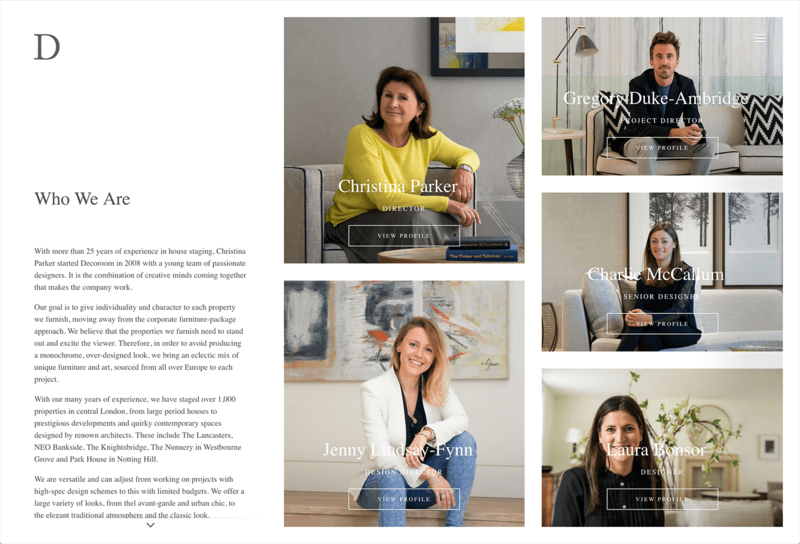 Parent, one of our design partners, approached us to do the development of this beautiful web site they had designed for their client, Decoroom. 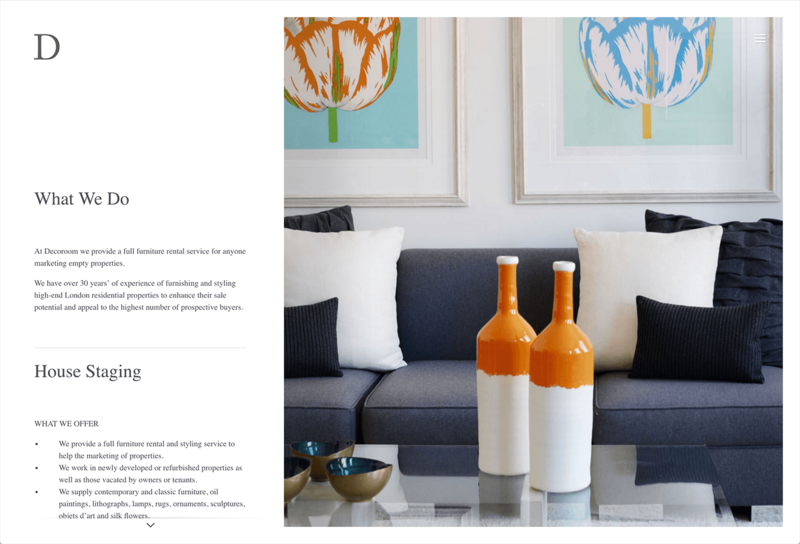 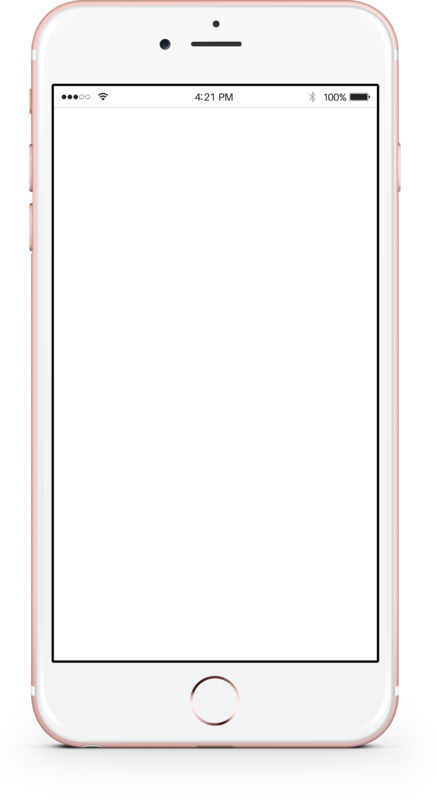 A full screen, responsive layout was required with pixel perfect templates that could be updated by the client. 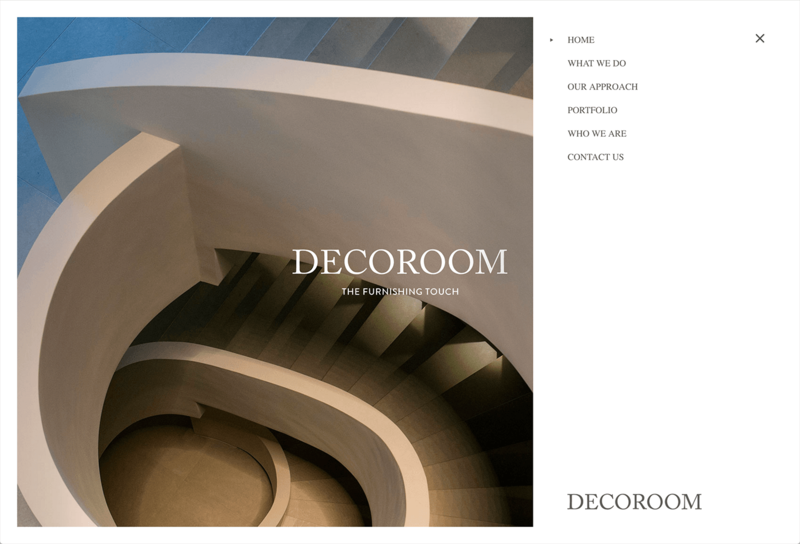 The Decoroom web site is smooth and graceful in its loading, animation and transitions. 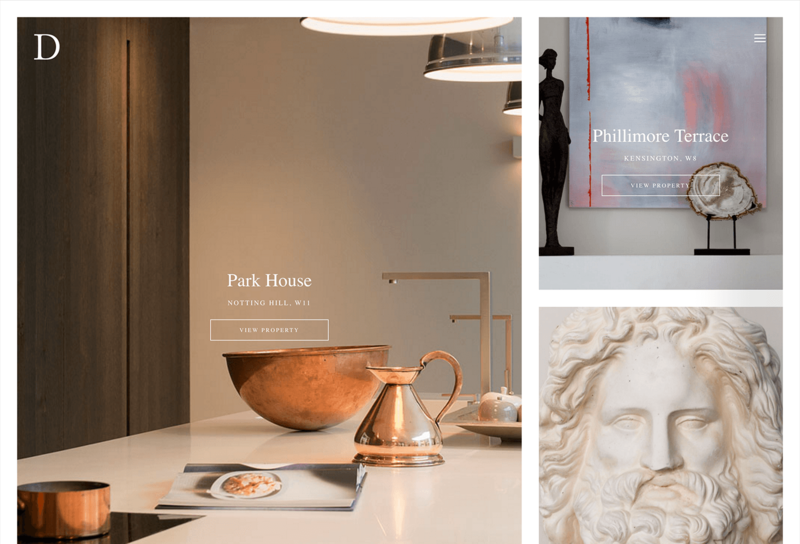 This compliments the design and branding through functionality and interaction that feels naturally part of the overall aesthetic of the site, balancing form and function gracefully.